Set in a secluded location with panoramic sea views across Lundy Bay, this converted granite barn, consists of two luxury, well-equipped self catering holiday cottages. 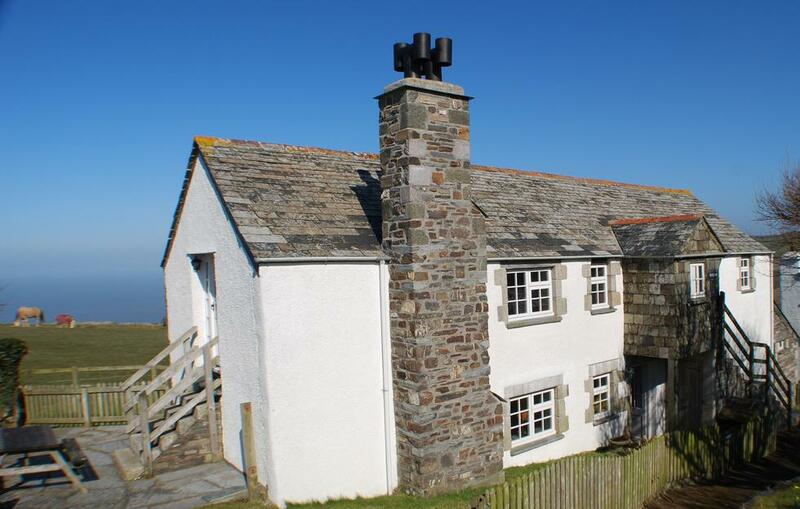 Both cottages have log burning stoves, central heating, exposed beams, & well-equipped kitchens with granite worktops. There is Wi-Fi internet access and new Smart TVs – with iPlayer, Netflix, DVD, video and radio facilities. 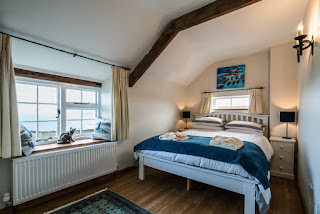 Both have separate laundry rooms with washing machine, tumble dryer, iron, ironing board and plenty of space to hang wetsuits and keep surf boards/body boards and beach equipment. Churchtown Cottages are situated in an area of Outstanding Natural Beauty surrounded by National Trust Land with great coastal walks. Local beaches can be found at Crackington Haven, Widemouth Bay and Bude which all provide good surf along with both sandy stretches and rock pools. Boscastle and Tintagel are nearby too.